A lack of proper investigatory powers and legal loopholes mean the UK will remain a key destination for global dirty money. New rules from the Treasury, trumpeted as the solution to £90bn worth of money laundering in the UK each year, are unlikely to dent the business practises of gangsters, drug lords, criminals and terrorists. There are two reasons why the new Treasury rules won’t work. Firstly, the UK rules (as well as new EU regulations) will maintain anonymity and fail to flush out the owners and controllers of companies laundering ‘dirty money’. UK legislation requires companies to file information only about persons who control 25 per cent of a company – known as ‘Persons with Significant Control’ (PSC). Reducing an individual’s shareholding to less than 25% thus avoids any disclosures. Furthermore the law permits nominee shareholding i.e. banks, accountants, lawyers can hold shares on behalf of unknown third parties. Shadow or nominee directors are also permitted i.e. accountants, banks, lawyers and others can act as fronts for the real directors, all for a fee. Even worse, companies in anonymous tax havens can be directors of UK registered companies. In short, there is no transparency. Secondly, the UK’s institutional architecture for investigation, prosecution and enforcement is unfit for purpose. Companies House, the first port-of-call for UK company registrations, only makes the most rudimentary checks. Here is a farcical example, provided by the London Evening Standard, of the Italian mafia having set up a £100m UK company using Italian terms such as “fraudster” and “chicken thief” as directors’ names. Italian investigators found last week that mafia-run company, Magnolia Fundaction UK Ltd, had been operating in the UK for almost five years. The company registered as having a series of short-term directors. Ottavio Detto IL Ladro di Galline became a director in 2010. “Il Ladro di Galline” translates into English as “The Chicken Thief”. Il Ladro di Galline stated his occupation to be “Truffatore” which translates as “Fraudster”. The company appointed a new secretary on 27 January 2010: an Italian company called Banda Bassoti Company. But did it even exist? Banda Bassotti is the Italian name for the ‘Beagle Boys’ gang of crooks in the Donald Duck cartoons. The address given for company was “00 Via Dei 40 Landroni, Ali Babba, Italy 00100”. The address translates the “Street of the 40 Thieves” and there is no town called Ali Babba in Italy. Companies House always accepted Magnolia Fundaction’s documents without question. The above provides a brief snippet of what passes for regulation in the UK. The UK has a labyrinth of over 30, overlapping financial regulators adept at buck-passing. A partial list is shown here. There is no logic in having so many self-serving regulators spread across HM Treasury, the Home Office and the Department for Business, Energy and Industrial Strategy (BEIS), without any coordinating body. 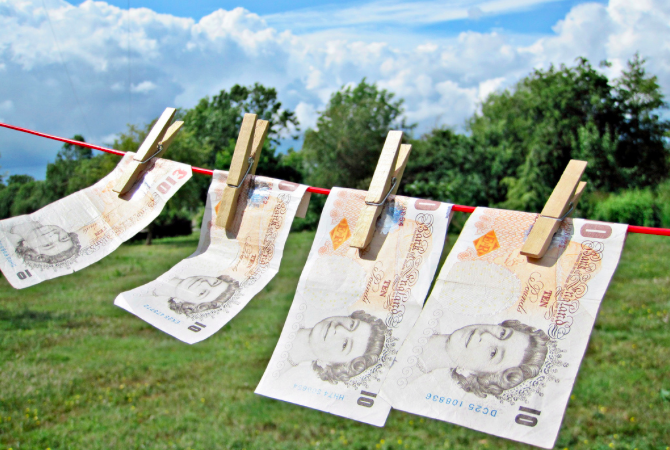 Unsurprisingly, since 2007, only five people have been convicted of money laundering. Despite courts declaring some tax avoidance schemes designed by accountancy firms to be unlawful, no firm has ever been investigated, prosecuted or fined. Without fundamental reforms the UK will remain a major centre for illicit financial flows, something that will continue to damage the domestic and global economy and stability. When will the British government impose public registries on its tax havens?